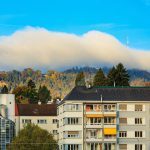 Continuing low interest rates for mortgages in Switzerland and rising demand for safe investments are encouraging Swiss and expats alike to step onto the housing ladder. Despite soaring real estate prices in areas like Lake Geneva and Zurich driven by population growth and accommodation shortages, the cost of owning your home has dropped overall compared to renting. 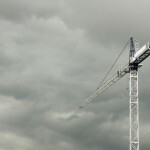 The ongoing housing costs for a new, medium-standard apartment (including the interest payments for a five-year mortgage plus maintenance amounting to 1% of the purchase price) have declined from about CHF 28’000 in mid-2008 to below CHF 17’000, according to a Credit Suisse real estate report published last year. This means that the average annual financial cost of an apartment for a new buyer is now less than half the annual rent for a comparable apartment. But, as always, location is key. Very few houses, for example, are sold on the lakeside in the Lake Geneva region. “Therefore, even if you overpay for this type of property you are unlikely to lose money,” Walther added. Switzerland’s real estate market buoyed by cheap mortgages is experiencing its biggest boom for years. Prices for apartments have more than doubled in the last ten years and family home prices have increased by an average of 37%. Despite the economic slowdown and rising unemployment rates, real estate prices in Geneva, Lausanne and Zurich remain high. Swiss nationals tend to ‘buy for life’ and do not move house or apartment frequently. Only 33% of the population own property in Switzerland compared to 46% in Germany, 52% in Austria and 65% in the rest of Europe. “And as long as you have 0.5% vacancy rates in metropolitan areas, real estate prices are not going to go down,” Walther said. But if you are on a short contract or at risk of being suddenly transferred out of the country, a Swiss property may be a liability. If you are domiciled in Switzerland and have a permit B for European Union/ EFTA origin countries or a permit C for non- EU/ EFTA countries, you are able to buy property in Switzerland. Swiss banks generally grant mortgages of up to 80% of the market value of a property, which means you pay a minimum deposit of 20% from your own resources and the rest is loaned to you from the bank. It is also possible to give part of your pension as security to the bank to secure your loan. New regulations introduced by FINMA in September 2013 limit the amount you can take from your second pillar to 10%. In Switzerland, asking for a professional survey of the property is not common. However, as the seller is not required to notify you of any issues, a survey may give you advance warning of serious problems, particularly with older homes. In addition, local taxes vary enormously from commune to commune as well as canton to canton, so it’s important to ask about the level of taxation. Prospective buyers are advised to get an independent architect or real estate evaluator to accompany them from the first visit to a property and before making an offer. “They will see problems that buyers may not see and buyers should ask their advice about the fiscal, technical, financial and legal aspects of the property. Often buyers think all they need to do is paint but there may be lots of additional costs involved,” Walther said. It is important that people do not feel pressurised into making a quick offer by estate agents as banks now take a lot of time to give their answers on mortgages. Another potential pitfall to avoid is overdoing improvements to your new house or apartment. “You could be throwing money out of the window if you have to sell within five to ten years,” Walther explained. 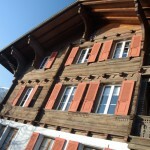 In Switzerland, a notary, who is a public officer working for both buyer and seller, handles the property transfer. However, if you are unfamiliar with the area or do not speak French, you may wish to have your own legal representation to explain the details of the agreement to you.